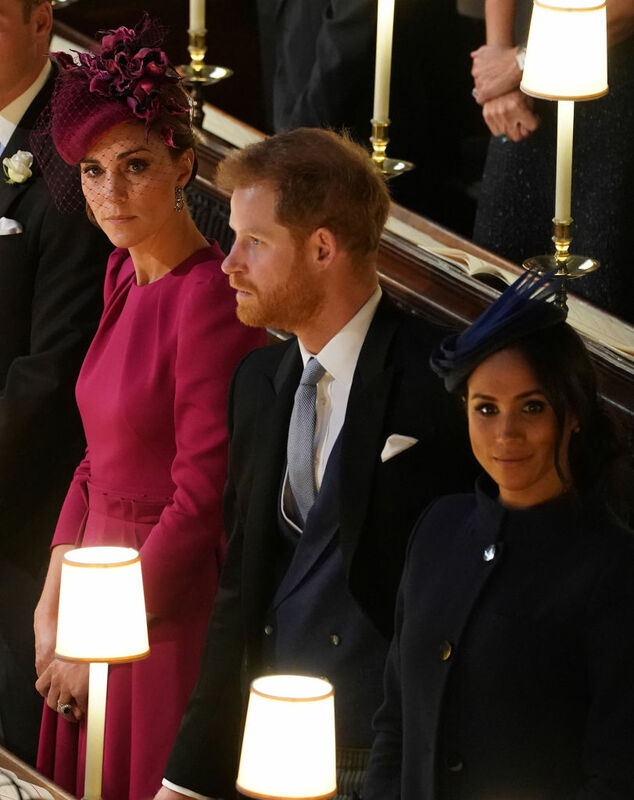 We don’t know what we did to deserve two royal weddings in 2018, but we’re definitely not complaining. First, on May 19th, Prince Harry and Meghan Markle tied the knot at St George’s Chapel at Windsor Castle. 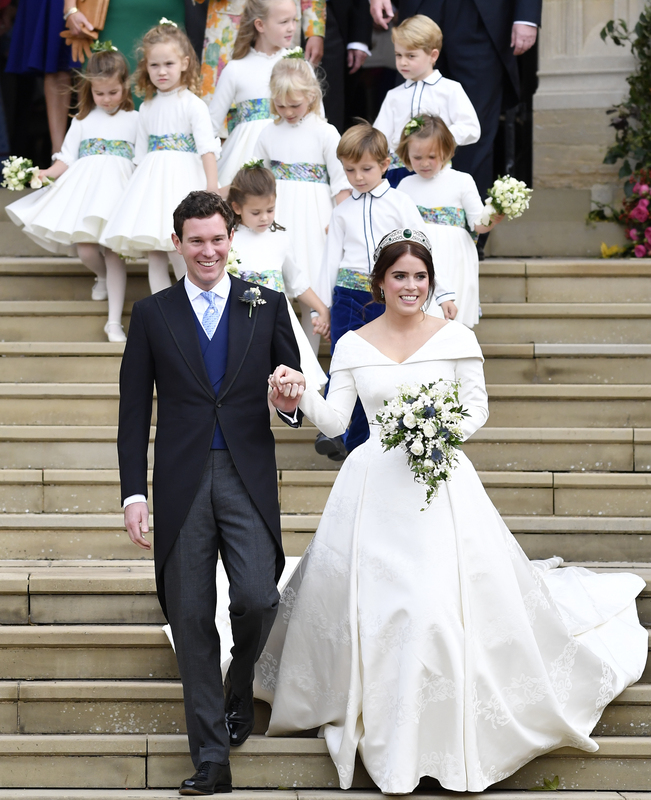 Then today, October 12th, Princess Eugenie married her long-time boyfriend Jack Brooksbank in the same location. All eyes were on the bride, who looked stunning in a V-neck, low back gown designed by Peter Pilotto and Christopher De Vos. Princess Eugenie topped off the gorgeous look with an emerald tiara from the queen’s collection and matching earrings. But with so many royals in one place, we couldn’t help but notice what others were wearing, too. Particularly our two favorite style icons, Kate Middleton and Meghan Markle. And best believe that their dresses did not disappoint. In fact, they even kind of matched. Kate wore two of her go-to designers for the occasion. 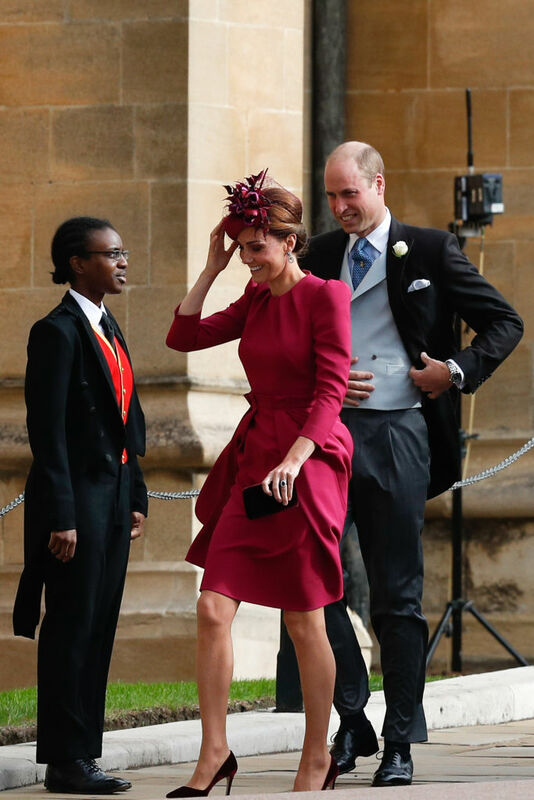 Harper’s Bazaar reports she opted for a fuchsia Alexander McQueen dress and Philip Treacy fascinator. She looked bold and beautiful in deep pink, and this hue is officially our new favorite color of fall. Meanwhile, Meghan also wore one of her go-to designers. According to Harper’s Bazaar, she wore a navy Givenchy dress and fascinator (as you might recall, she wore a gorgeous Givenchy gown on her own wedding day). The pair both opted for high-necked, just-above-the-knee looks with accompanying updos. Here’s the Duchess of Cambridge, looking pretty in pink. And here’s the Duchess of Sussex nailing it in navy. Name a more stylish sister-in-law duo. We’ll wait. It’s official: Today was a big win for both love and fashion. Congratulations to the bride and groom.